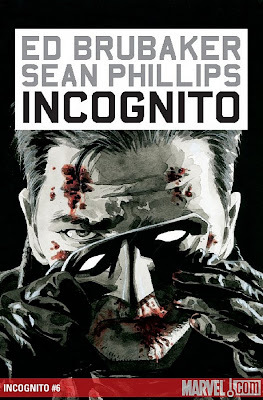 Ed Brubaker and Sean Phillips'critically-acclaimed, Eisner-nominated miniseries 'Incognito' will be heading to the big Screen courtesy of FOX. The protagonist is Zack Overkill, a ruthless villain who is powered by super strength. He is caught and rats out his boss, The Black Death. He goes into witness protection. He’s given a drug to dull his powers and takes a normal guy job as delivering the mail. By the time he discovers that messing with certain drugs restores his power, he has developed something of a conscience. He becomes a vigilante and soon, his exploits become known to The Black Death, who is out for revenge.